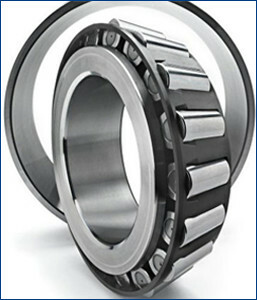 With the precision designs, we as a manufacturer, supplier and distributor provide Tapered Roller Bearings in the domain. Our offered bearings have four parts con, cup, tapered, and cage. Designed with utmost precision, the provided bearings are manufactured under the strict vigilance of our professionals using optimal quality steel and modern techniques. To meet the specific demands, we manufacture 26,000 tapered roller bearing combinations for the clients. In addition to this, clients can also ask for customized designs according to the need.